The BARRACUDA oil spill boom can allow you to perform several operations: close an area, contain an oil slick or divert a slick. It consists of independent foam plate floats. These supporting elements are extended to obtain the draught and ballasted by a chain along its entire length that’s either visible or in sleeves, depending on the version. To set it up, you only need to connect the other elements, as required, and place it in the water. The BARRACUDA boom comes with a towing system. Thanks the division of the foam into compartments, it is highly flexible allowing it to follow the movements of the surface of the water and thus retain its equilibrium position. 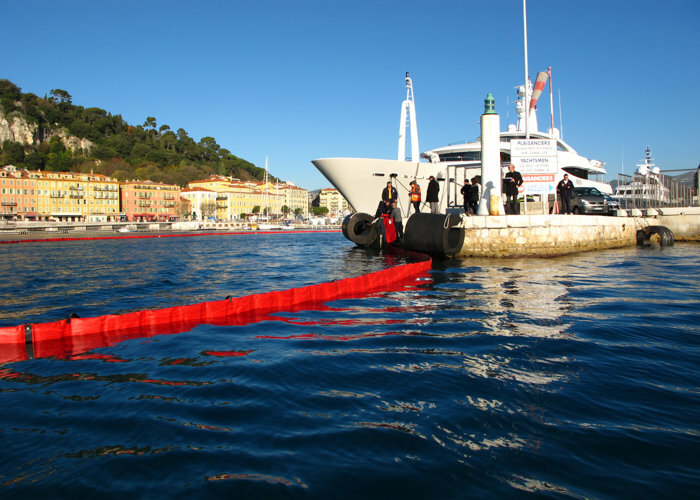 This oil spill boom is designed to withstand the marine environment, bad weather, the sun and a high humidity environment. 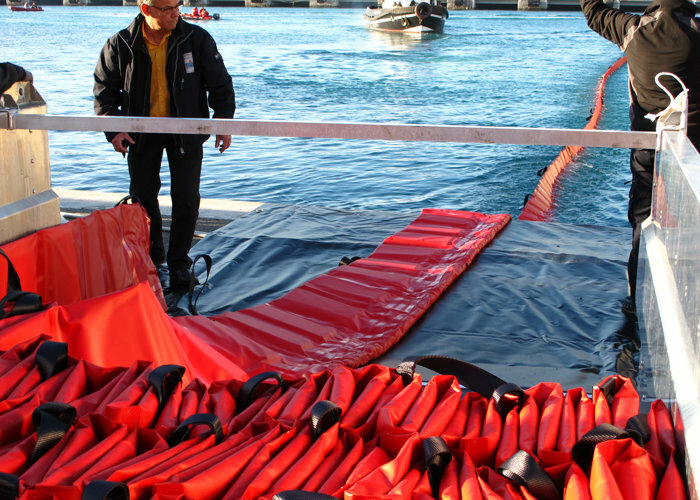 This floating oil spill boom is highly resistant to tears and towing. It also offers high resistance to hydrocarbons, fats (oils, lubricants, etc.) and virtually all industrial chemicals.